Dr. Gabriel Gabbaypour began his undergraduate training at University of California Los Angeles. He then earned his Doctorate of Dental Surgery from the University of California in Los Angeles, graduated with High Honors and was awarded membership in Omikron Kappa Upsilon, the National Dental Honors Society. Following this, Dr. Gabriel Gabbaypour continued his training, completing a Residency in Oral & Maxillofacial Surgery. Glubomaxillary cyst or Periapical cyst? Dr. Gabriel Gabbaypour began his undergraduate training at University of California Los Angeles. He then earned his Doctorate of Dental Surgery from the University of California in Los Angeles, graduated with High Honors and was awarded membership in Omikron Kappa Upsilon, the National Dental Honors Society. Dr. Gabriel Gabbaypour was then accepted to The University of California Los Angeles school of medicine and the prestigious UCLA program in Oral & Maxillofacial Surgery. After earning his Medical Degree, he then completed a one-year Internship in General Surgery. Following this, Dr. Gabriel Gabbaypour continued his training, completing a Residency in Oral & Maxillofacial Surgery. 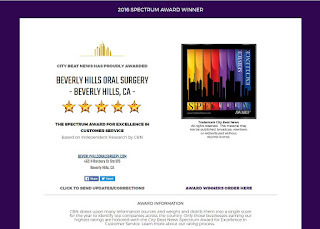 Dr. Gabriel Gabbaypour is a member of the American Dental Association, The California Dental Association, American association of Oral and Maxillofacial surgeons, California Association of Oral and Maxillofacial Surgeons. He is An attending surgeon and has clinical privileges at UCLA Medical center and Cedar Sinai Medical Center. We are proud that He is one of the only few dual-degree, Oral & Maxillofacial Surgeons in the State of California.